On this night, dreams hover for the snatching and possibility looms, a limitless sky. On this night, young people dance on the cusp of adulthood with the world at their feet. We are simply grateful they are choosing to share a portion of the evening with us. Our firstborn son plans to attend the annual semi-formal Homecoming dance with nine of his friends, a fall ritual in American high schools. My husband and I organize and cook and scrounge up every last serving dish that has thus far survived raising four children. 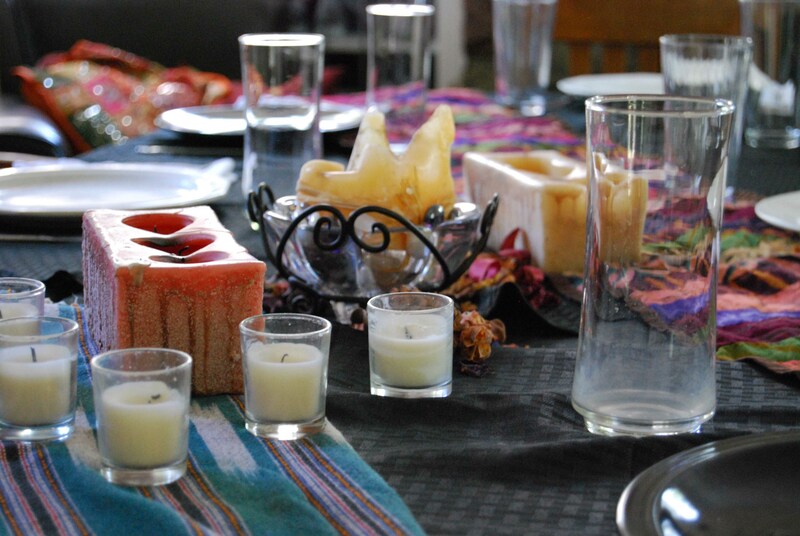 Eagerly we set a festive table. We congregate to witness the event: parents, a grandma, even an 86 year-old great-grandma. Our son’s closest male friends arrive first. 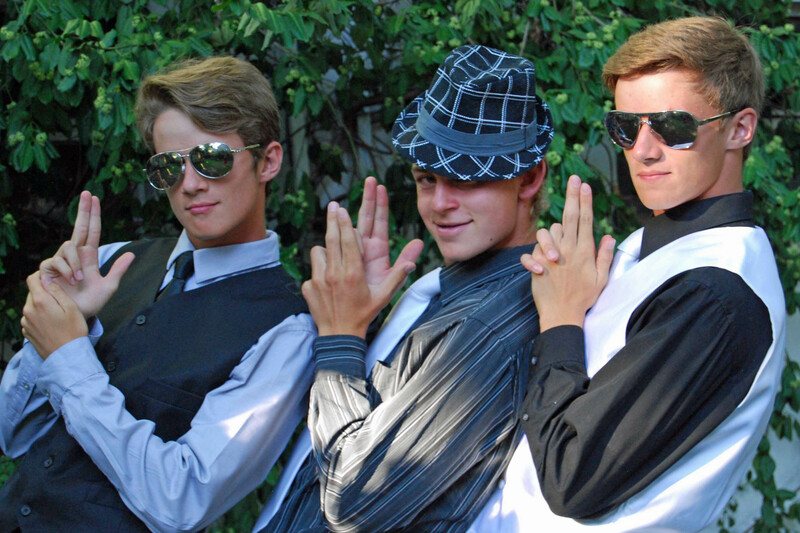 In one photo they lean back on a garden swing, dapper in plaid hat and shimmery sunglasses; in another they line up like gangsters with cocky grins. After photos, the young men jest in the living room, until a rush of bright eyes, sequins, and shiny fabric sweeps through the door: six beautiful young women. Of course in their youth they could never imagine how just watching them sparks our hearts. Even as many as seventy decades later (for Great Grandma), we remember well when young blood flushed our own veins. Memories, apparitions of younger vivacious selves and the ones we loved, step into the perimeter of the room, still laughing and dancing, so close we can almost touch them. Close behind, ghosts of the little children these young people once were crowd and frolic. We can almost hear the giggles. A father wipes a tear from the corner of his eye. Live large! Never forget amidst the struggles of life that God is the Father who kills the fatted calf when the lost son comes home, the rich man who throws a lavish feast and invites the down-and-out, the wedding guest who turns the water into wine. Certainly there is a time to go without, there are lessons to be learned in scarcity whether by choice for others’ benefit or due to unbidden circumstances. Even in asceticism, where there is love there is celebration – remember creativity is infinitely more valuable than money. For every festive occasion, there are always shadows. For every loved one present, there are those unseen who lurk in our hearts. The pangs of missing them throb particularly intense in milestone moments. Receive the ache not as distraction; but as a parallel stroke of paint, as vibrant in its intensity as the opposite color at its side. Both are evidence of love, which in the end is the ultimate beauty. Realize that even amidst the delight of a memorable event, there is disappointment, expectations that are not met. Choose neither to ignore nor to dwell on these feelings, for they are simply traces of yearning for what will never be found on earth. Ponder them as evidence that you are made for something more. What you experience as you laugh around the table and revel in the gift of one another is the treasure of life, a deposit of what is to come. Wherever you go, hunger for it and seek to re-create it. It is worth your investment of gold and silver, time and energy. When it is hard to find, savor the memories of tonight; and they will carry you through many a winter’s storm. Don’t lose sight of your fellow travelers in pursuit of your dreams. They are the comfort on a cold night when hopes crash; they are the strength to take another step when your bones are weary. When today is only a laugh-line around your eyes, and troubles stroke gray in your hair, remember the good times with gratitude; but don’t yearn for yesterday. The best is yet to come. Every good and perfect gift here on earth is but a clue on the treasure hunt towards a destination where joy will define our every day. There, where celebration, feasts, and community will be the heartbeat of each moment. There, we will dance in the Presence of the King forever. Awesome! Love it. That’s the beginning of a good book right there! Thanks for your encouragement! I keep writing bits and pieces wondering if they will ever organize into something cohesive? Wow. I loved that!!! So beautiful and full of truth. Love the photo pose!! I can’t believe how he has grown!!! So fun that you have known him since he was toddling along at CC, hanging out with college kids! Soon he will be one of them. I can’t believe it! I’m glad you visited! Best wishes to you! I remembered this post today for whatever reason, and came back to find it and read it again. And oh what beautiful memories it brings back, and how excited it makes me for what’s to come. Thank you for this. So many beautiful things to come for such a beautiful group of people! 🙂 What a gift you are in my life.